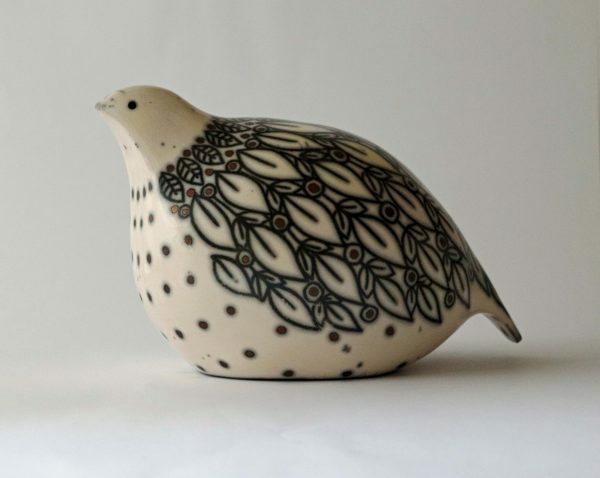 Decorative ceramics with exquisite all-over patterns. Various techniques are used including naked Raku. Bowls, vases and bird forms are slip cast or hand built.